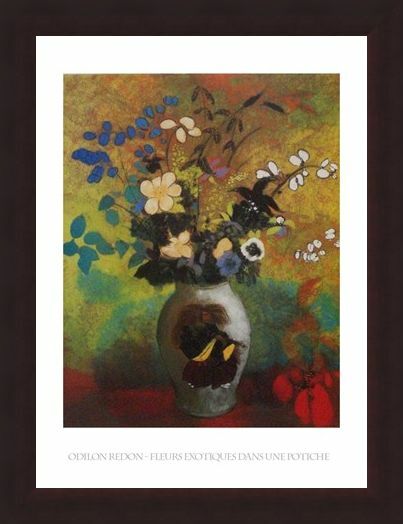 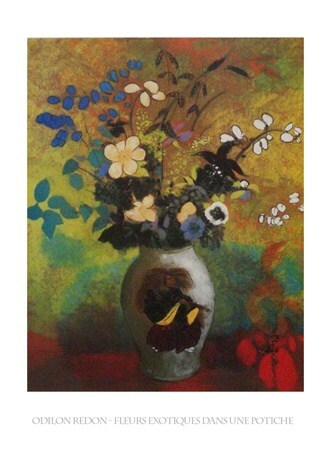 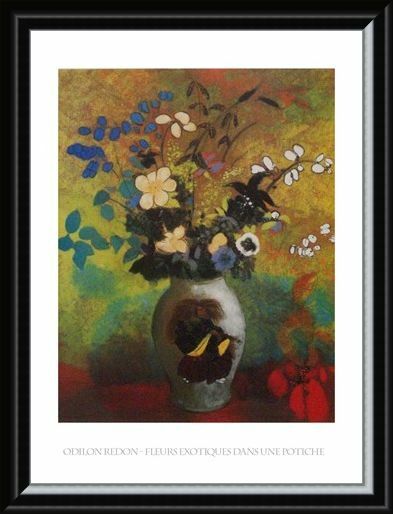 Art Print: Odilon Redon was discovered to be a talented artist from a very young age, and his forte only grew stronger with age. 'Exotic Flowers' is a colourful painting which shows a white vase with a warm red motif as an array of bright, exotic flowers burst from the opening in the ceramic ornament. 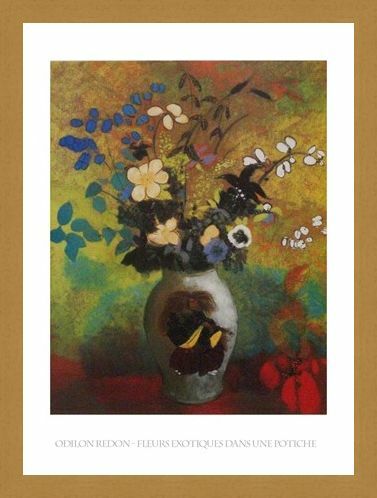 In a flurry of blues, violets, whites and purples, these blossoming botanicals really stand out from the warm yellow background on which they are painted. 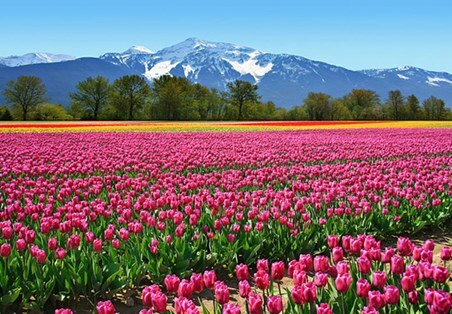 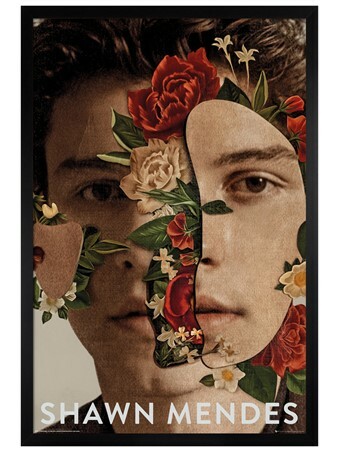 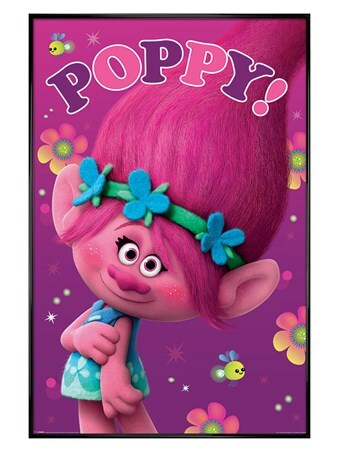 If you are fascinated by floral beauty then this charming art print is sure to add a fresh feeling to your home. 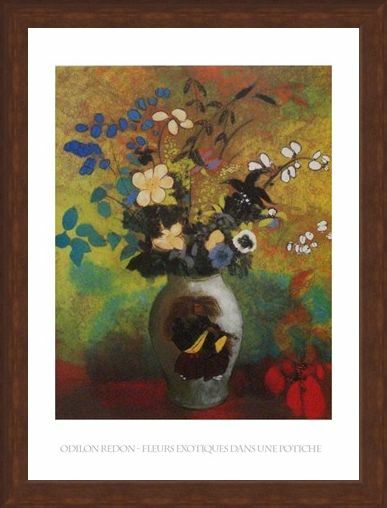 High quality, framed Exotic Flowers, Odilon Redon print with a bespoke frame by our custom framing service.